Millions of patients have successfully undergone cataract surgery to restore clear vision. The procedure involves the removal of the natural lens of the eye, along with placement of a synthetic lens. Patients typically recover well after cataract surgery, especially when they follow our aftercare instructions. At Byrd Eye Clinic, Dr. Thomas Byrd provides patients with a comprehensive set of instructions so they can enjoy a smooth cataract surgery recovery. Here, we review six of the most important aftercare tips for cataract surgery patients. For more detailed information, contact our Detroit, MI practice today. Cataract surgery patients will be prescribed antibiotic and anti-inflammatory eye drops for use during the healing period. The antibiotic eye drops will reduce the risk of infection. The anti-inflammatory eye drops are used to minimize inflammation and reduce discomfort after surgery. You will typically use the antibiotic eye drops for about a week after surgery. The anti-inflammatory eye drops are used for three to six weeks. Dr. Byrd will discuss your exact instructions during your in-office appointment. To reduce the risk of infection, it is important to refrain from touching the eyes during the recovery period. Because an incision is made in the eye, patients are more susceptible to developing an eye infection in the weeks after surgery. Touching or rubbing the eyes can allow for the transfer of bacteria to the healing incision site, resulting in an eye infection. Patients should also avoid rubbing the eyes because it can cause the incision to re-open, delaying the healing process. We generally recommend that patients keep the hands and fingers away from the eyes for three weeks after surgery. We will provide you with an eye shield that you should wear at all times for three days after surgery. In addition, you should wear an eye shield at night for one week after surgery. Any strenuous or demanding activity that can potentially cause damage to the eyes should be avoided. This includes heavy exercise, which can increase inflammation. In addition, patients should stay out of dusty or windy conditions to reduce discomfort. To reduce the risk of eye infection, don’t wear make-up for about 10 days after surgery. Keeping make-up and other face products away from the eyes is ideal. 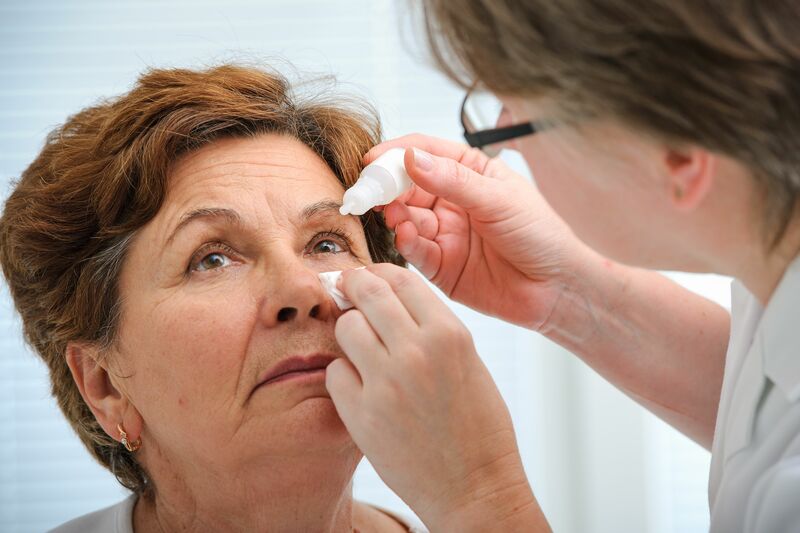 In addition, patients may consider replacing all eye make-up and other eye products after cataract surgery to further reduce the risk of infection. Patients will have follow-up appointments with Dr. Byrd the day after surgery and three weeks after surgery. It is important to attend these appointments so he can check for signs of infection and monitor your healing. The eyes may be sensitive to light after cataract surgery. Avoid going outside in the sunlight for a few days after surgery. You can also dim the lights in your home and close the shades for added comfort. Finally, patients may wish to wear sunglasses indoors to reduce light sensitivity. To schedule an appointment for cataract surgery, contact Byrd Eye Clinic today.